Blockade of this nature and size has not been recorded during 68 years of work of the largest coal producer, as the Kolubara’s mines has worked during the bombing of Serbia and in other difficult times. According to the estimates, after the flooding, there is approximately 210 million cubic meters of water in the area of the “West Field”, from which went to the TPP more than 15 million tons of coal last year, and some 26 million cubic meters of water at the mine “Veliki Crljeni”. 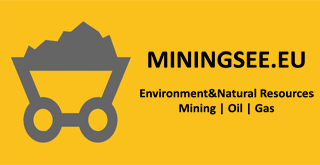 All manufacturing facilities for coal production and processing of the Mining Basin “Kolubara” are excluded from the production process on 14th May. In the morning, the first was stopped the coal system at the mine Field “B”. By the end of the day, all system at the Kolubara’s mines stopped operating, and a half an hour after midnight, the facility “Processing Plant” “stopped” as well. Blockade of this nature and size has not been recorded during 68 years of work of the largest coal producer, as the Kolubara’s mines has been working during the bombing of Serbia and in other difficult times. However, this time, weather disaster of cataclysmic proportions and pouring of all three rivers in the surrounding of open pit mines, Kolubara, Peštan and Turija, have stopped the operation of the most powerful mining machinery. Kolubara River has broken through the embankment and using the riverbed of the tributary Vraničina, with all the force of the flood, made a new riverbed by which came into the Tamnava’s mines. Fields “Tamnava- West Field” and “Veliki Crljeni”, which provided nearly two-thirds of the Kolubara’s production, are completely flooded. According the preliminary indicators, measuring the amount of water that is poured into the Tamnava’s mine, conducted after the embankment was made at the Kolubara River, has showed that there is some 210 million cubic meters of water at the area of “Tamnava West Field” and some 26 million cubic meters of water at the mine “Veliki Crljeni”. Miners of MB “Kolubara” have tried to save everything that could have been saved. Nevertheless, the water disaster was stern and what is left after a torrential flood-wave is the work on the recovery from the consequences and enabling the production facilities. The work on raising the embankment on the river Kolubara immediately started. After more than two days of the superhuman efforts, the embankment on the river Kolubara was raised and the diversion of the water floods in the Tamnava’s open pit mines was stopped. Embankment of earth and stone of coarse granulation was made at the place where Kolubara River broke into the small river Vraničina and changed its course, which stopped the river outflow to the mines and the water was returned to the old stream. The Third phase of the Dry Separation in the facility for the coal processing in Vreoci was enabled on 17th May and a day later the conditions were made for receiving the coal from the Field “D”. After creating the favorable conditions, at the open pit mines Field “B” and Field “D”, the system for the overburden excavation was included, and thanks to the enormous effort of the employees in MB “Kolubara”, on 22nd May, the first tons of coal were excavated from the Field “B”, the oldest active open pit mine of the Mining Basin and the first composition of 21 wagons dispatched toward the TPPNT B. Lignate production at the one of the two coal systems in Field “D” started on 26th May, and enabling of the second coal system is in progress. Simultaneously with the activities on enabling of the facilities and capacities that have been partially flooded, it is been working on the pumping of the water from the open pit mine “Veliki Crljeni”, where six pumps work ceaselessly on reducing the water level in this Tamnava’s mine. At the open pit mine “Tamnava-West Field”, the employees have managed, with the tremendous effort, to get the part of the equipment which hadn’t been flooded. By 14th May, the operation of the production systems at four open pit mines of Mining Basin “Kolubara” was normal, with bigger and smaller problems. Since the beginning of the year, approximately 11.9 million tons of lignite and 27.4 million tons of overburden have been excavated. The coal plan was overthrown by some 4 percent and overburden by 12 percent. Transport of coal to the thermal power plants went according to plan. Heavy rainfall from 13th May made the work hard, especially at the overburden system. The catastrophe occurred the next day. On 14th May until the halt, the mines gave 7,231 tons of lignite and 32,246 cubic meters of overburden. 6,754 tons of coal was shipped to the thermal power plants. Before the flood, the last train from the Field “D” to the TPP “Kolubara” was dispatched at 12.40 pm and to the TPPNT at 17.30 pm.